Was Kuhn more wrong than right? Today, I sat in on a fascinating lecture on Thomas Kuhn, the noted historian of science, given by Alex Wellerstein to Harvard sophomore students as part of a module in the History of Science. Kuhn is quite possibly the best-known product of Harvard University, famed for his extremely influential book on the history and philosophy of science The Structure of Scientific Revolutions. 1. The Aristotle question. 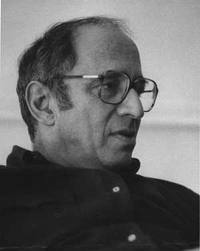 Kuhn (who trained to PhD level as a physicist) always claimed that much of his approach to the history and philosophy of science was informed by the simple question “How could Aristotle, one of the world’s greatest philosophers, be so wrong about so much of physics?” His answer to this question that Aristotle was not wrong. A. was simply exposed to knowledge that is different to what we have now and therefore simply perceived the world differently to modern scientists. Indeed, much of what A. believed was perfectly reasonable in terms of evidence at the time and we must beware of judging the past through the lens of today’s knowledge. So far, so fairly standard. But what is more radical is that Kuhn then goes on to assert that different perceptions can be equally valid. There is no right or wrong view. This relativism quickly becomes very problematic for practising scientists. First, it ignores the fact that Aristotle was famously disinterested in evidence; he believed the ideas of the mind were far superior to any physical observation. More importantly, today’s science places great emphasis on the concept of wrong; it is only by comparison with observation that we make progress i.e. select between theories that describe the world reasonably accurately and theories that don’t. This process of elimination is a fundamentally different starting point to that of Aristotle et al. and it has driven all the major breakthroughs of modern science. There is surprisingly little discussion of this simple point (now known as Popperian falsification) in Kuhn’s book. 2. A second problem concerns Kuhn’s idea of the paradigm shift in science (considered to be his major contribution). According to Kuhn, all of scientific theory and experiment takes place within a given paradigm. From a theory of gravity to particle physics, experiment and theory generally occur within an agreed overarching sets of beliefs. If enough contradictory evidence builds up that cannot fit the paradigm, a new paradigm then arises which replaces the old i.e. a paradigm shift occurs. So far, this is a perfectly reasonable description of how science is done (if a bit simplistic as it ignores competing models within paradigms etc). But it is what comes next is problematic. According to Kuhn the new paradigm completely replaces the old, rendering the old effectively redundant. Time and again in his book, the new paradigm is portrayed as a new world-view, entirely replacing and invalidating the old, much like a shift in philosophy. This view amazes me, particularly coming from a physicist. First, it is very, very difficult for a paradigm to become established in the first place: it has to provide an adequate explanation for hundreds of measurements in different, but related, fields. This skeptical aspect of science should not be understated. For the same reason, it is difficult for a new paradigm to emerge; this is because it the old paradigm explained a tremendous amount and is not lightly overthrown. If the old is overthrown , it is only on the emergence of startling new evidence, usually gradually accepted over long periods of time. Even then, there are periods of time during which time the new and old coexist and compete (like two records being mixed). 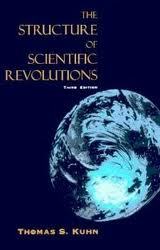 Pick any revolution you like, from relativity to quantum physics. The new can only replace the old if it explains all the old did, plus a whole lot more (because as new evidence is uncovered, old evidence also remains). This view of science as a cumulative process (as opposed to alternate views) is criticized by Kuhn, but it matches 20th century science very well. 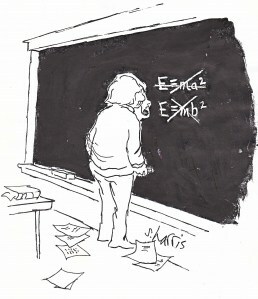 For example, it took quantum physics at least thirty years to emerge; it was the slow accumulation of experimental observation and theory (not Planck’s quantum, as Kuhn asserts). Hence, the new is very much an extension (however radical) of the old and the old paradigm is not discarded. We still use no-relativistic and non-quantum physics to this day, where we always used it; where the limitations do not apply. 3. Most problematic of all for scientists is Kuhn’s notion of ‘normal science‘. In his view, when a paradigm shift is not occurring, scientists are engaged in ‘normal research’, essentially dotting the is and crossing the ts of known knowledge. Indeed, this is how most of science is done, in Kuhn’s view. If the inconsistencies above are right – and I am not the only scientist to make such points – why is Kuhn’s book so famous ? Why so influential, if many scientists, even in Kuhn’s own discipline, consider it flawed? It’s worth pointing out that Kuhn’s work went on to form the bedrock of an entire discipline, the social study of science and technology. Perhaps one answer is who it speaks to. The book is possibly the most widely-read science book ever; widely-read by a great many non-scientists, that is. Here is a dark thought: perhaps Kuhn’s view resonates with historians, social scientists and others, precisely because it resembles practice in their fields more than it does science. To put it baldly, is it popular with those in the humanities because it tells them what they like to hear? We are all scientists now. But look at it this way. It takes years (5-6 min) to train a person to become a reliable experimentalist. That training is not trivial: it is about training the observer to observe as objectively as possible. Of course, science is a social activity, subject to human behaviour. But is this is a determining factor? Don’t scientists go out of their way to minimize social factors by rigorous training in the use of the scientific method? To paraphrase Churchill, it may not be perfectly objective but it is a damn sight more objective than the alternatives! Can an outsider understand the extent of this training if they are not trained in the method? How do all those non-scientists become such experts on the limitations of scientific knowledge? Difficult questions. But it’s interesting that the most trenchant criticism of science often comes from those with almost no training in the area. (Many like to point out that Kuhn himself had a PhD in physics, not realising that, in science, this does not constitute an expert). Finally, Kuhn himself often claimed that he was widely misread and misunderstood. I find this a bit of a cop out; although some of his definitions are rather vague (famously, there is no clear definition of the scientific paradigm), the book is not at all ambiguous in its general thrust. In fact, it is all too clear and very repetitive. Like so many of the studies that were to follow, it takes a good idea and extends it to a radical extent, garnering much attention but alienating the very community that could have benefited from it. Below is Alex’s response to my comments on Kuhn above. Bear in mind that he knows a great deal more about this subject than I do! 2. 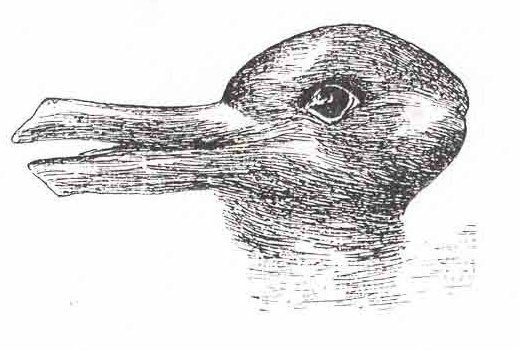 I agree that the Gestalt shift suggested by Kuhn is awfully unsupported by evidence. In some cases you can see it: the “canonical” revolutions (Copernican, Newtonian, Einsteinian, Darwinian). But it doesn’t very well capture the shifts that happen more frequently, which still don’t fall under the definition of “normal science.” Kuhn’s model is very all-or-nothing in my eyes: you’re either Normal or Revolutionary. It strikes me as a rather stark set of options, and one which does a particularly poor job of describing science after 1945. There *are* big changes in science after 1945, and I’m not sure I’d say they were all perfectly cumulative (because you’re by definition throwing out everything you’ve decided wasn’t cumulative, even though it was judged to be “good physics” at the time), but I do think it is more “cumulative looking” than the Normal/Revolutionary model. 3. I can see your resistance to the idea of Normal Science, but I’m not sure I agree with your reading of it. Kuhn emphasizes that Normal Science just means that you aren’t spending all day trying to find the Next Big Thing. People aren’t sitting around saying, “let’s throw out all of what we know and do something RADICAL.” They *do* occasionally do that, and Kuhn’s examples from quantum theory are maybe the best examples of that: you have people like Bohr and Heisenberg saying, “well, what if we just threw causality out of the window, and see what happens?” But that can’t be the day-to-day operation of science. For Kuhn, Normal Science is just trying to advance knowledge a tiny piece at a time, the kind of thing you see in NSF projects: “doable” results that will get you a tiny bit further in knowing how something works. It doesn’t mean you’re just re-running the same experiments all day long — it just means you aren’t re-examining the fundamentals of your theories at every moment. Now it would be a very good question to ask whether current theoretical physics is in Normal or Revolutionary mode according to Kuhn. The String Theory people seem to fluctuate back and forth — there are little moments of stability, and then every few years some of those get completely up-ended. Furthermore, you misunderstand Kuhn if you take him to be using Normal Science as a way to criticize science. In fact, for Kuhn, Normal Science is the key to the reliability of science. It is “dogmatic” and “conservative” on the whole: it requires extraordinary evidence before it decides to unseat its theories, it doggedly avoids flights of fancy. He would compare this (perhaps unfairly) to, say, Literary Theory, which has a new “turn” every decade or so, and lacks any real foundation other than the whimsy of whomever runs the big departments at any given time. The fact that the “hard sciences” don’t change their fundamental theories very often is exactly what makes them so compelling as truth-machines. Their conservatism is their strength. This is actually a very radical aspect of Kuhn that makes him quite different from what most of the social studies of science people interpreted him to be saying. As for the broader question of why Kuhn is popular, I’m not sure it’s always because it is destabilizing or relativistic. There’s some of that, to be sure. But I do think it’s mostly because he manages to frame these kinds of questions in ways that most people, even those who don’t know or care about science, can understand and respond to. He provides a sort of synthetic whole that we can then play with and modify and adapt to our own anecdotes. That doesn’t mean it is “right” — but it might be “useful.” I think Kuhn does provide an alternative, however vague, to the linear model of scientific progress. Should we be looking for alternatives to that model? I’m sure you and I probably would not agree on that, in any case… :-) I think the linear model, depending on how it is used, can be extremely misleading. I don’t think Kuhn is really right but he highlights some interesting things. I like the idea of Normal Science, though I don’t see it as a transcendent, “real” category. Anyway — this is a big question (if you don’t have the linear model, what do you have? ), one that we’ll be really pushing at over the run of the entire course. I don’t claim to know the right answer here, but certain models feel more plausible to me than others. hence one of the ideas of Aristotle is still the basics of the quantum theories, I think that we are still far from a real scientific approch of whatit should be. the solar system the planets has a mass of 1% of the sun, conclusion in macrocosmos the solar system is an atom or molecule, so we are even smaller tha we thought! I don’t think there is any connection between Aristotlian physics and the fundamentals of quantum physics, except in the most trivial way. But the real point is that physicists consider – and have always considered – quantum theory to be incomplete, despite its spectacular successes (and technological spinoffs). I don’t understand: “I wish”? Do you embrace mutiverse thinking? If so, why? do you promote it to your students?On what grounds within a standard course? Because physics questions never become obsolete. Te answers might change, but even the answers never really become obsolete. besides, students are graded on how they arrive at conclusions, not on the conclusions themselves. latest shown the Keppler-11 you see a solar system with 6 planets speeding closely around,to me it looks like a carbon atom! When a body accelerates in space, creating the effect of inertia in the direction opposite where you accelerate, called center of gravity. ( MORE). the effect of inertia is constant as long as you accelerate, as if desaceramos always opposite to the direction. Vacuum the entire volume of the universe is spread in more than half empty, otherwise it will shrink. Cuando un cuerpo acelera en el espacio, crea el efecto de inercia en sentido opuesto en la dirección donde se acelera, le llamo punto de gravedad. ( MAS). el efecto de inercia es constante todo el tiempo que aceleramos, como si desaceramos, siempre en sentido opuesto a la dirección. Todo el volumen de vacío del universo se propaga en un medio mas vacío, de lo contrario se contraería. From part 3. the part on “paradigms are temporary and it is the scientist’s job to test them to their limits” this is exactly what Kuhn was explaining that is the problem in today’s science. Hyper-criticism seems popular for scientists today and rather than trying to broaden on a paradigm with the appropriate tools and methods set they test the foundational issues. Creating a new paradigm is important but finding successes within each one is equally important. Check out this discussion for further info.